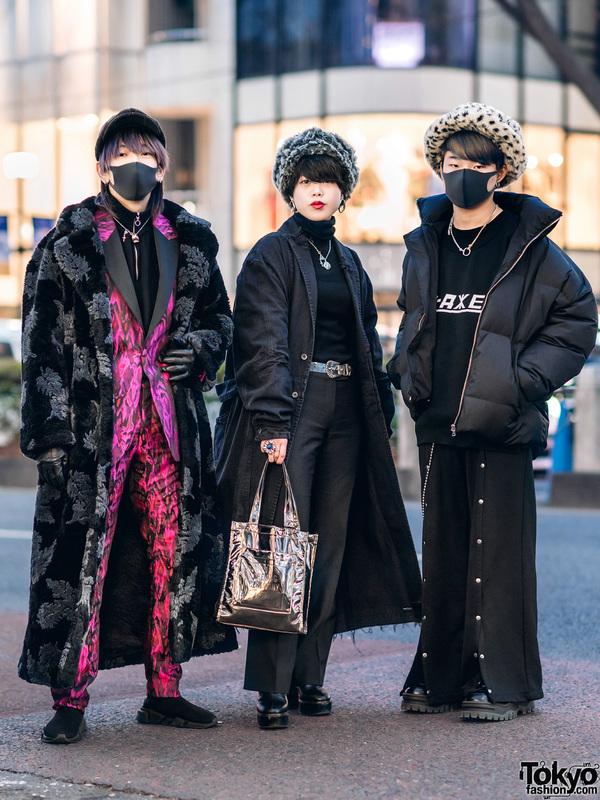 Blonde-haired Harajuku teens on the street sporting a black embroidered blazer, pleather pants, cowboy boots, vest over tan coat, denim pants and pointy boots. 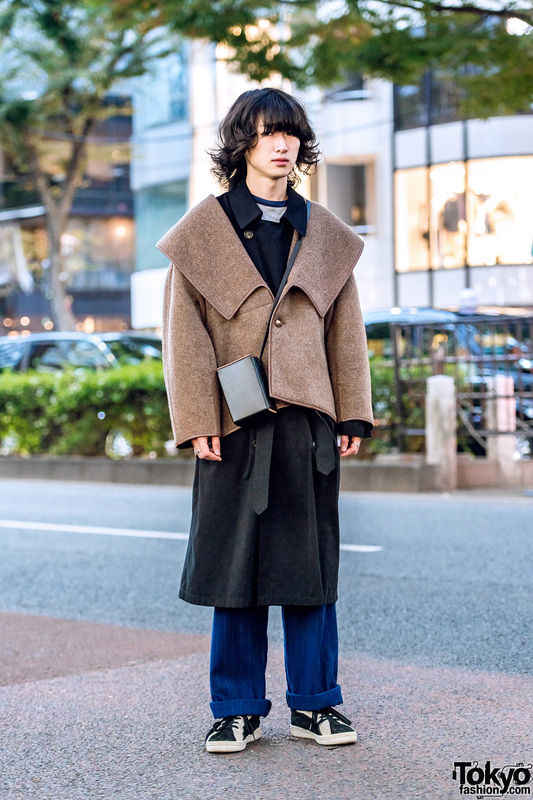 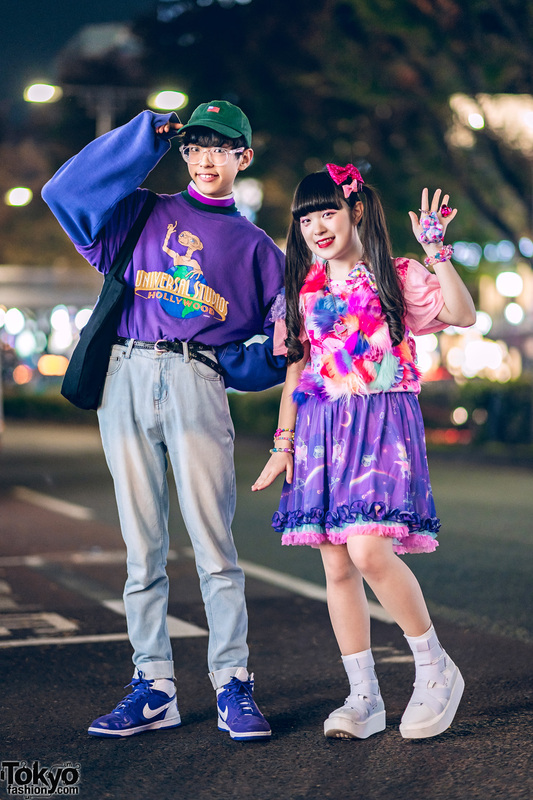 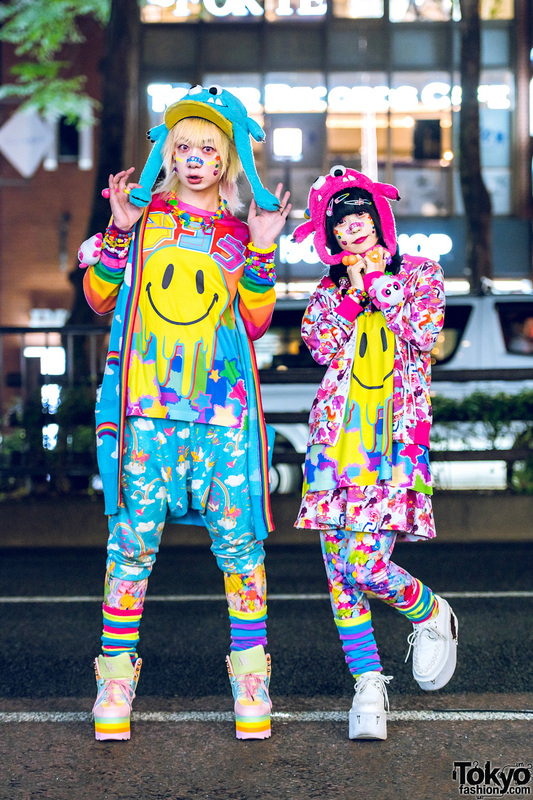 Japanese student wearing vintage streetwear in Harajuku. 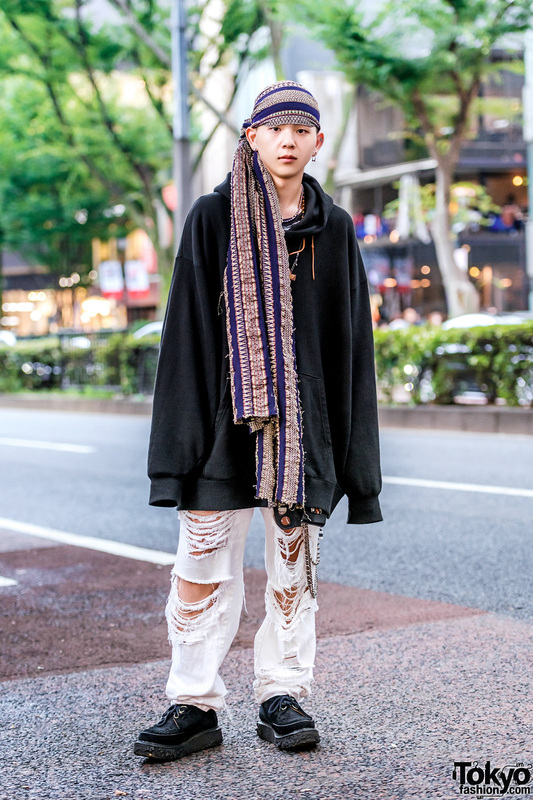 Harajuku guy wearing a vintage tee, ripped jeans, and white sneakers.